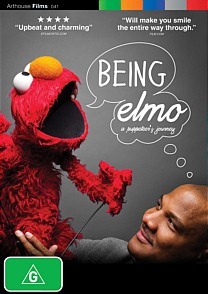 Being Elmo a Puppeteer's Journey DVD Review This is definitely the feel good documentary of the year! 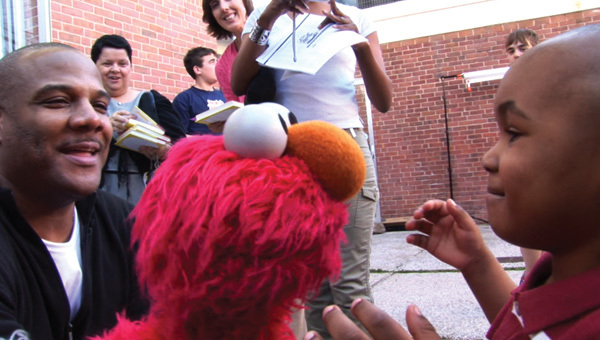 Being Elmo is the heart felt documentary by director Constance Marks that goes beyond the phenomenon of Sesame Streets most famous muppet, Elmo and takes the viewer behind the scenes (literally) to this wonderful creation loved by children across the globe. 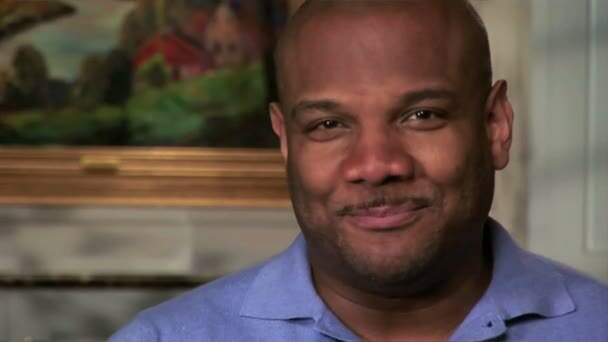 The man in question is Kevin Clash who as a child became mesmerised of the world of puppets. Unlike other children and teenagers at school, Kevin was an individual filled with wonder, love and creation who after watching puppets on TV, inspired him to create his own. Ironically, Kevin's High School Year Book named him the most likely student to become a millionaire. This documentary goes into great detail of Kevin's life, thanks to archival footage and interviews with family, stars and puppeteers. Each person interviewed has the utmost respect and love for this man. As Kevin visits terminally ill children, the heart and soul of Elmo is pure Kevin who seems connected with everything good in the world. Without his amazing dedication and love towards those fans of Elmo, this persona could not have come into existence. However Kevin's life was not all about the colourful world of Sesame Street or meeting his childhood idol Jim Henson. Unfortunately his dedication to his work forced him into a divorce and he unwittingly neglected his only daughter. Amazingly it was a letter from his daughter that forced him to slightly step away from Elmo and spend more time with her before she went to college. Nonetheless, Kevin is still involved with Elmo and this documentary shows almost every facet of his amazing life. This is definitely the feel good documentary of the year!